Share "How to Use Flowers to Attract Different Types of Wild Birds"
In addition to adding bird feeders and filling up a bird bath, you can also attract wild birds by planting seed bearing flowers to your landscape. • Common Seed-Bearing Flower Types: There are several types of seed- bearing flowers that wild birds tend to be attracted to. Black-eyed susans, coneflowers, daisies, evening primroses, marigolds, sedum, sunflowers, zinnias and hibiscus are just some of the most common. 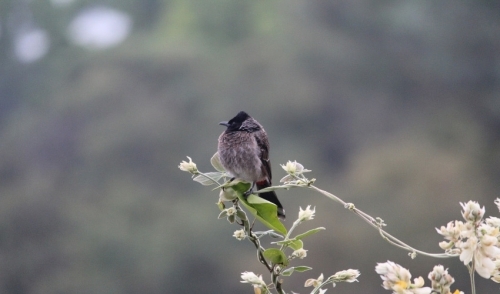 Sap, buds and ripe fruits from fruit trees is also enjoyed by dozens of bird species. • Choosing the Right Flowers: When deciding which flowers to use, you will want to consider native plants, as birds will recognize them as a common food source. Choose flowers that can thrive in your geographic climate, taking water and sunlight levels into account. Choose flowers of varied heights for a multi-layered look, as a nice thick garden will attract many birds. You will want to choose flowers that require minimal pruning and maintenance. • Seeding Time: Selecting flowers that mature to seed at different times will ensure a continued food source! Attracting birds with seed-bearing flowers not only adds beauty to your landscape, but can also save you money on bird seed!